***NOTE: THESE ARE ESTIMATED DATES and Supplies can vary according to weather and customer demand. Enjoy the peak of the Summer Harvest! 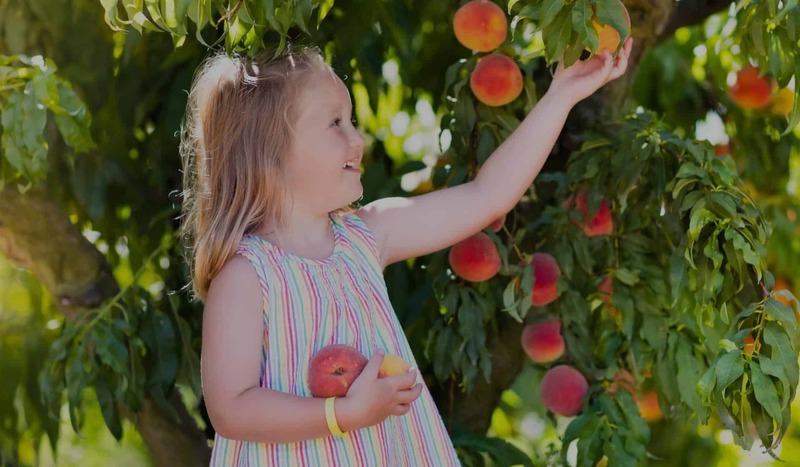 This season includes the picking of three of New Jersey’s most famous crops: Blueberries, Sweet Corn, and Peaches. One hayride ticket enables you to pick all three! Blueberries are one of nature’s best antioxidants, and they taste great too! Our blueberry crop begins in mid June and continues through July. There is nothing like the taste of Just Picked Sweet Corn followed by a dessert of blueberries and peaches! We cultivate twenty-five plantings of Johnson’s Famous Sweet Corn. We do this to ensure that there is always a planting at the peak of its flavor. If you have never sunken your teeth into a juicy Tree Ripe Peach you have yet to experience one of the sweetest treats we have to offer. Tree ripening allows the natural sugars to reach their peak. We grow ten varieties of Peaches that are available to harvest form early July through the month of August. Other summer crops such as String beans, Jersey Tomatoes, potatoes and Zucchini will be added as they become available.